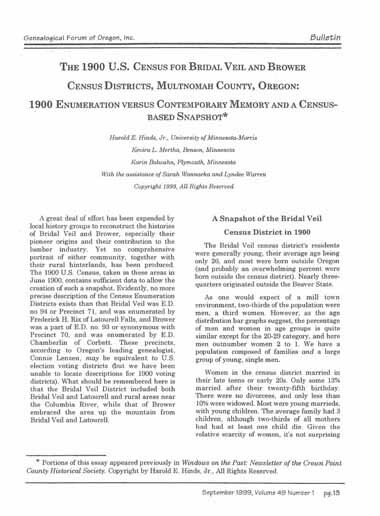 Genealogical Forum of Oregon, Inc. Bulletin, Vol. 49, No. 1.